10. oktobrī plkst. 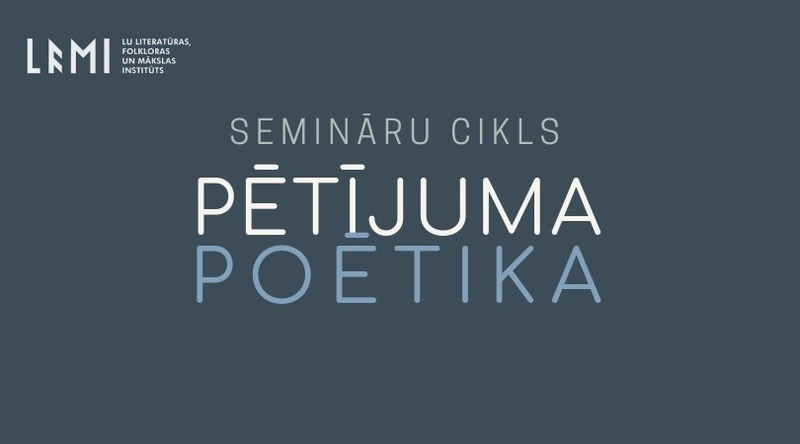 13.00 Latviešu folkloras krātuves (LFK) lasītavā viesosies pētnieks no Somijas, Turku Universitātes Sīmo Lākonens (Simo Laakkonen) ar priekšlasījumu "The Long Shadows: Global Environmental Impacts of WWII". Semināra moderatore būs Ieva Garda-Rozenberga. Semināra anotācija: What is the place of the Second World War in local, national or global environmental narrative? Up to day it seems that while this war affected nearly everything in the world, it did not affect the nature, the environment or our understanding of related issues. The presentation approaches these questions from historical and cultural point of view and argues that we need to address the Second World War and environmental issues together in order to understand both of them. The Second World War was not fought in all countries of the planet but its environmental consequences were of global scale. The presentation aims to provide an overview of the main environmental impacts of this war. Simo Laakkonen is an environmental historian and senior lecturer of landscape studies at the University of Turku, Finland. The presentation is based on his long-terms studies of the environmental history of the Baltic Sea and international publications that he has edited on militarized landscapes of World War II and the Cold War.